One of the biggest shifts in driving regulations over that past few years has been the introduction of distracted driving laws into jurisdictions all over the world. 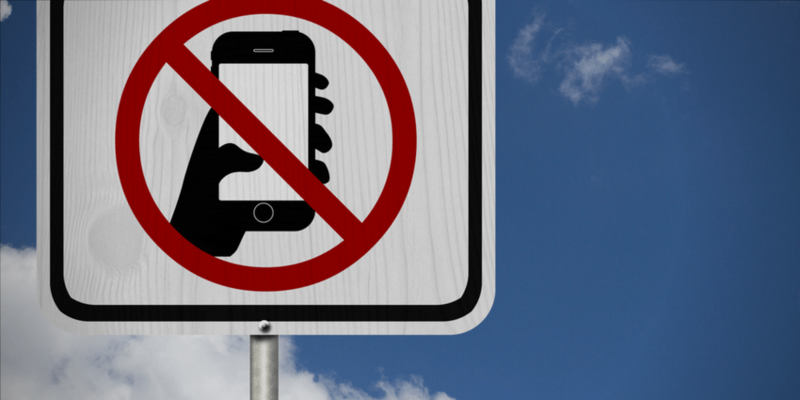 Today, depending on where you live, you will face very tough penalties for using your cell phone while you drive. No warnings, just a big fine, and points on your license. It does seem a little unfortunate that you can’t necessarily hit skip to hear the next song on your playlist while stopped at a red light because someone else had their head down texting going 100 kph on the freeway. Sweeping laws that can’t afford to leave any room for ambiguity leave us sensible folks feeling a little mistreated. But it is what it as. Too many people die on our roads as it is. As such, distracted driving prevention measures are, all-in-all, a necessity. It’s pretty clear where the responsibility lies for folks who drive their own vehicles. But what about fleets? Does your fleet rely on mobile devices to communicate with one another? Is everyone on your team aware of the laws in your operational territory? If mobile devices are a part of your day-to-day operations, then you should ensure all your fleet drivers are on the same page as to what they can and cannot do. And how the rules may change as they cross provincial or state lines. Making your drivers aware of the applicable distracted driving laws is one thing, but ensuring that the rules aren’t bent from time to time is another. It also begs the question, how responsible is the fleet manager when it comes to ensuring their drivers comply with all applicable distracted driving laws? As an employer, you’re responsible for maintaining a safe work environment. Therefore, having a distracted driving policy in place to ensure the safety of your employees is within your purview as a fleet manager. So, how do you introduce an effective distracted driving policy? Presenting some sobering statistics can be an excellent place to start. People’s ability to disregard the dangers posed by distracted driving is one of the better examples of willful ignorance that we can observe in the world today. Prefacing your distracted driving policy with facts like “a driver going 90 kph will cover the length of a football field while texting” should help grab some attention. After you’ve set the tone that your distracted driving policy is coming into effect to address a serious issue, employees should be receptive and ready to change their habits. It’s also important to make it clear that the policy will be a work in progress, and that driver feedback will be an important aspect of shaping it over time. Ultimately, the goal of your distracted driving policy, beyond simply ensuring all local traffic laws are followed, will be to set expectations for employee response times to phone calls and text messages. You want to alleviate your drivers’ anxious feelings that they need to respond right away to prove that they’re attentive and on the ball. The finer points of your policy, like an agreed reasonable response timeframe to phone calls and text messages, will depend on your fleet’s territory and type of work. To summarize, a policy for employees should include some key aspects: an example of why distracted driving is dangerous to get buy-in from employees, identifying acceptable response times to messages for drivers, and a clear message that the company takes the issue seriously. What really matters is that there is consensus on what’s realistic without breaking any distracted driving laws. When drivers, dispatchers and managers all have a shared expectation of response times from mobile devices, a safer and more harmonious work environment will follow. Very informative article for all. Keep share informative articles like this.. Very well explained information about Distracted Driving. Thank you for sharing this valuable post.